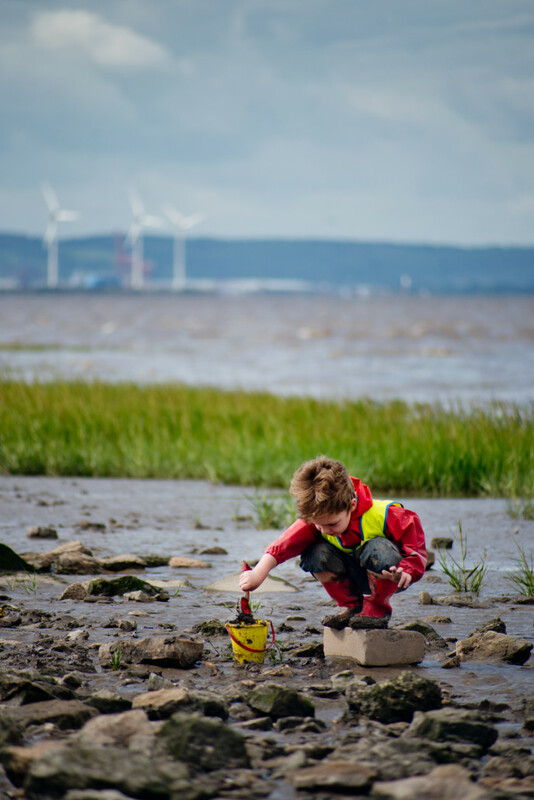 We believe that our coastline is a wonderful, natural learning resource to which every young person should have access. 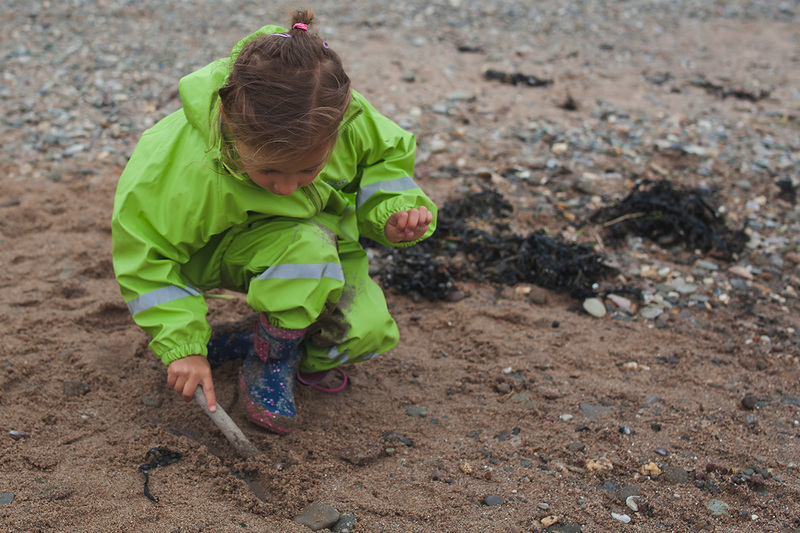 Children should be given every opportunity to explore beaches of all varieties. 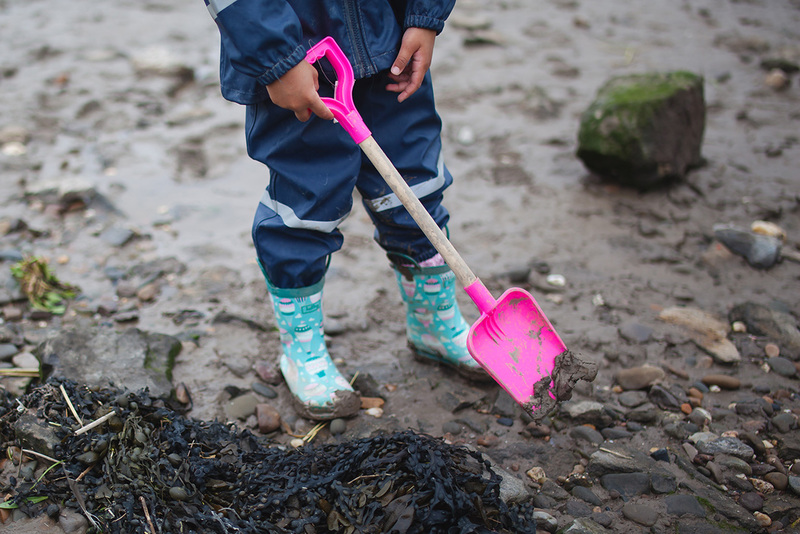 This could mean paddling in the water, living out desert island fantasies, creating amazing sculptures, lighting fires, driftwood structures or just as simple as feeling the sand (or mud!) between our toes! 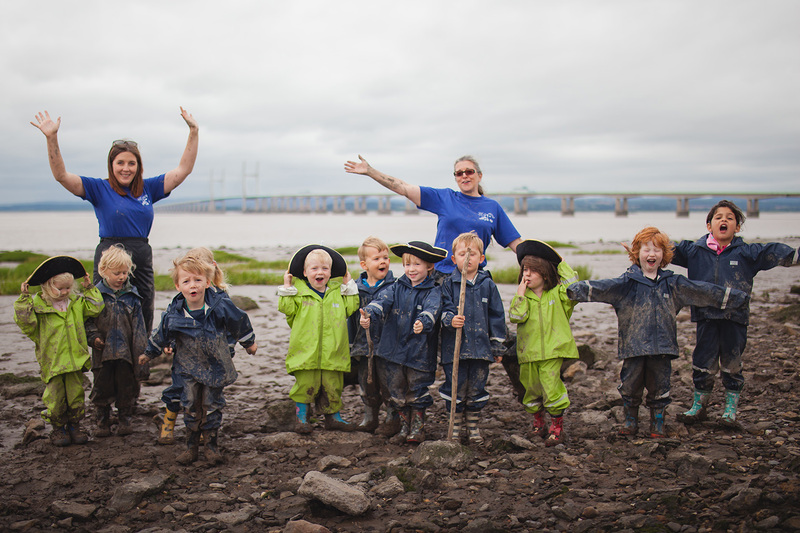 We have a wealth of learning opportunities right on our doorstep – Severn Beach! Throwing stones as far as they can throw to strengthen muscles in arms etc…. Searching along the shore line for treasure. 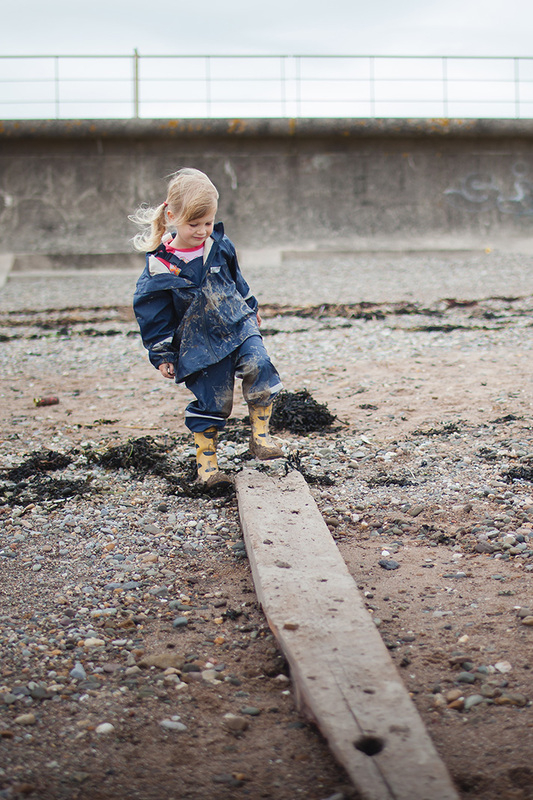 Collect driftwood to take back to nursery. Our maintenance man would then assist the children to join materials together to make sculptures and frames for their paintings/ photographs. Making dens using shoreline materials. Making a raised fire to toast marshmallows etc.. This list is not at all exhaustive as the children are the best ones to initiate their own activities. We have a Beach School mascot, Colin the Crab who features in the weekly sessions. One week the children decided to build a den for Colin the Crab. We talked about what shelter the crabs may need and talked about how the environment down on the beach had changed from previous weeks. 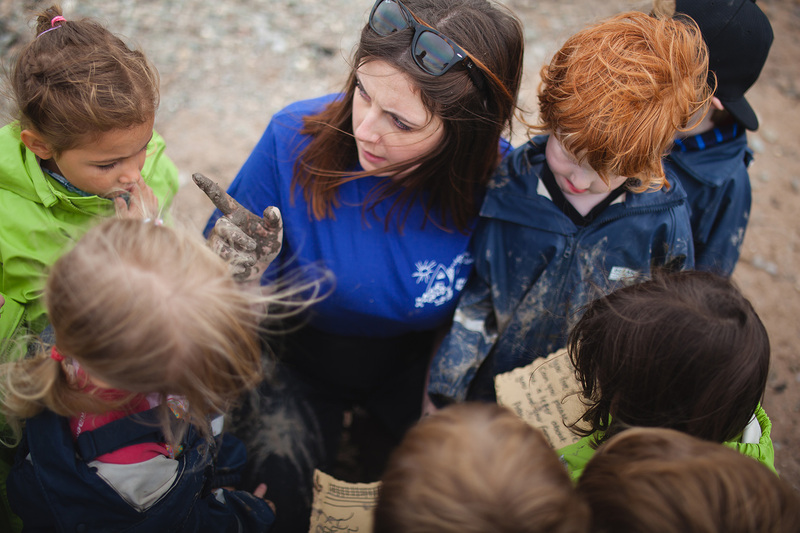 What better way for children to discuss their Understanding of the World and creatively develop the crabs own shelter. We have even found our own ‘real’ baby crabs. 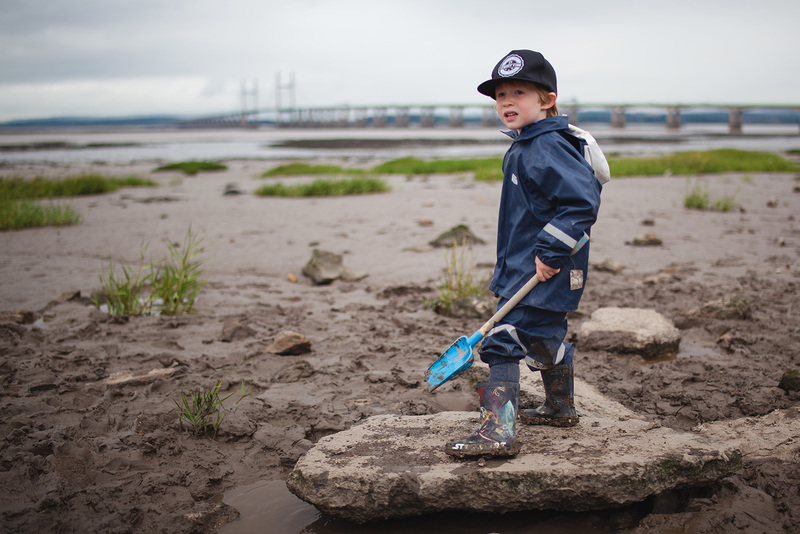 Yes, marine life does exist at Severn Beach! 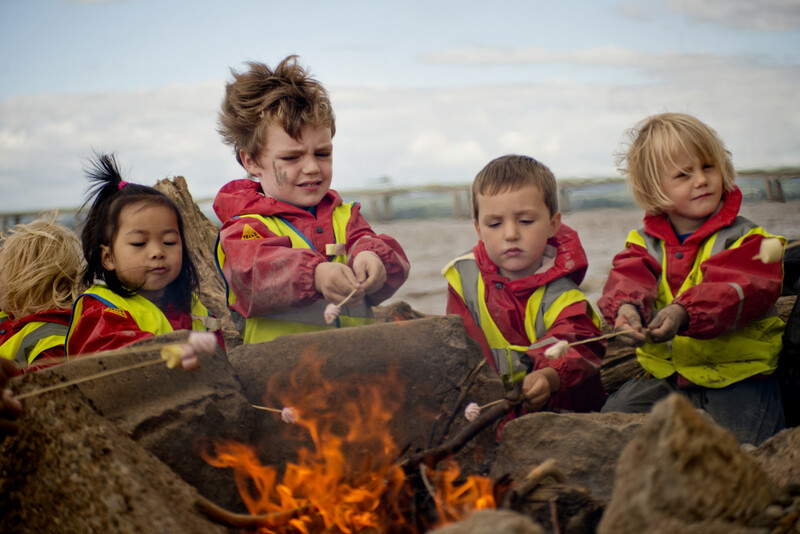 Beach School was first discovered in Bristol by Archfield’s Sister nursery, Woodland House. Cassie has now joined the team, creating Bristol Beach Schools. Bristol Beach Schools aims to give more children the opportunity to experience and learn at the beach. 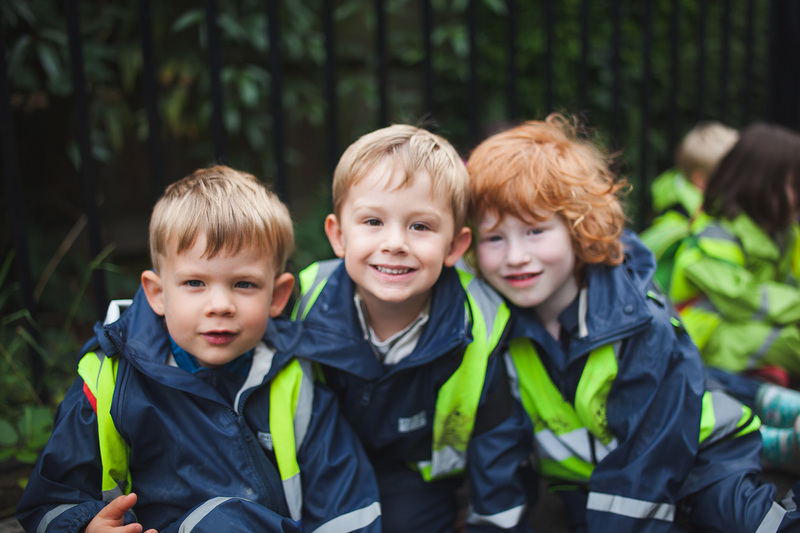 You can find out more information about Bristol Beach Schools HERE.